Eileen Yatron has in excess of 12 years experience owning and running her own bridal emporium in the North Yorkshire spa town of Harrogate. 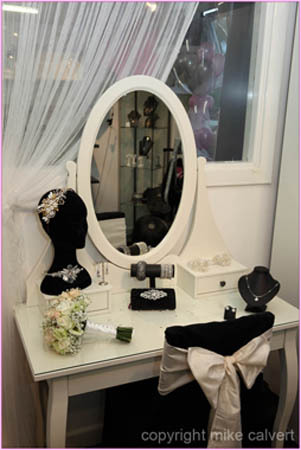 During this time she acquired a true appreciation of specialised, quality jewellery essential to complement and complete the bride’s wedding picture for this, the most romantic and stylish of events. Enhancing this elegant and enchanting fairytale occasion, Eileen weaves an enchanting marriage of jewellery and gems - for the bride, bridesmaids and mothers of the bride and groom - jewellery in exquisite forms and customised if desired. Special occasion jewellery, both modern/comtemporary and vintage have now been added to the ranges sold. Showrooms in both Harrogate and Leeds have been established.